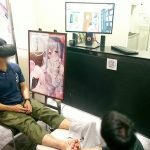 Following the initial buzz, the adult implications for virtual reality in Japan have not yet quite lived up to the hype. We were amused to see the recent demonstration by idol Kanna Hashimoto of a “4D goggles” where a robotic arm feeds the wearer a candy while watching Hashimoto do the same virtually. Otherwise there has been a lack of major new projects, unless they simply passed under our radar that was too clogged with AV and onaholes to notice. But this is fun — and perhaps something that only the minds of Akihabara could have conceived. It’s a virtual reality experience of dining with a idol. 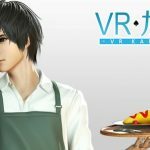 The VR Gohan (“virtual reality dinner”) is being offered through a dedicated VR headset called the IDEALENS K2+ that costs a whopping ¥86,400. It is only available at the Tsukumo VR store in Akihabara by reservation between March 1st and March 21st, at least for now. The featured idols and cosplayers are Megumi Nishikiori, Kana R Norwich, Kururu Kurasaka, Run Hasegawa, and Runo Mizukawa. You get a total of 50 minutes of VR dining (10 or 5 minutes per idol). 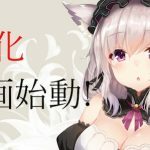 On March 31st and April 1st, the real-life idols will be on hand at Tsukumo VR store in Akihabara to personally hand over and sign VR Gohan headsets for the lucky (or foolish) men who make reservations.